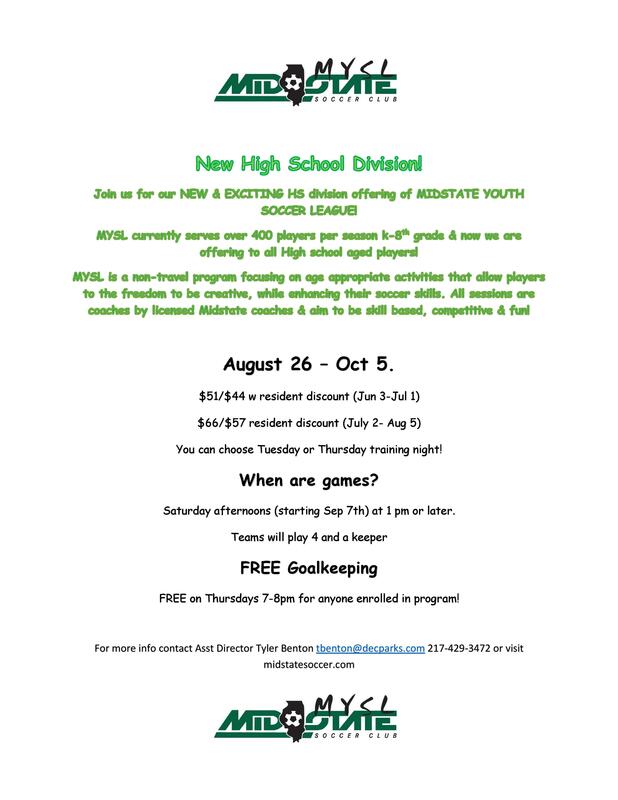 Midstate Youth Soccer League is a developmental league for youth aged 5-14. Our main objective is to provide individual development within a safe, fun and age-appropriate way. Included are 6 games and 7 training sessions, coached by Midstate’s licensed trainers. Each team will have a volunteer parent facilitator who will help the trainers during practice days and organize the team on game day. 4th/5th and 6th-8th grade teams will have a Midstate trainer as a coach on game days. Download ‘Team App’ from the App store. Create an account, search for Midstate Youth Soccer League. Sign up as a Player/Officials. 1. Soccer for kids should be, first and foremost, fun. 70-80% of formerly enthusiastic young soccer players quit playing by the age of 13. The reason cited by the vast majority of kids who leave the field for good? “It wasn’t fun anymore.” A fun-first focus helps to foster ongoing passion for the sport. 2. Technique is key. At young ages, the developmental priorities should be: skill and confidence with the ball, stable and precise movement, and creativity and flair. These come through repetition, unending touch on the ball and uninterrupted play – both in game like activities and in various small-sided games presenting variations of problem-solving situations. 2. Kids will enjoy good instruction. The coaching provided by Midstate will ensure that all kids have access to and are guided by licensed coaches, guided by National Youth Licensed Leadership. This ensures that less experienced coaches have plenty of opportunities to progress in their learning and development for higher levels of coaching. The end result? Players enjoy stimulating valuable practice and encounter a coherent, well-designed progression of soccer teaching through the U13 levels. For players that choose to play past U13 we have our Travel program that they can be apart of. 3. Kids will be free to play and to have fun playing. 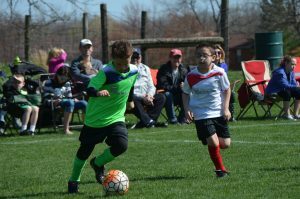 The player-centered approach puts the emphasis on enjoyment and consistent development during practice and on freedom and soccer smartness during Saturday Showcases. The pressure to “get a result” in the weekend game is minimized as is the pressure to perform, that often comes from well-intentioned but miss-guided coaches and parents. 4. Kids are part of a club that teaches teamwork and social connection with a community. Players will train, compete, and socialize with a larger group of players. They can build more friendships and increase their group of friends. They can compete with and learn from the other players that comprise the Program. Players are placed in an environment that allows them to develop an awareness of their “club culture” among different peers with whom they may compete with in the future.